Mock-up page from Alison Smithson novel, ‘1916ASO’, AA Archives. The AA Archives is pleased to announce a major new donation to its collections -a manuscript for an unpublished novel by Alison Smithson, entitled ‘1916 ASO:The Earth of the Modern Movement’. 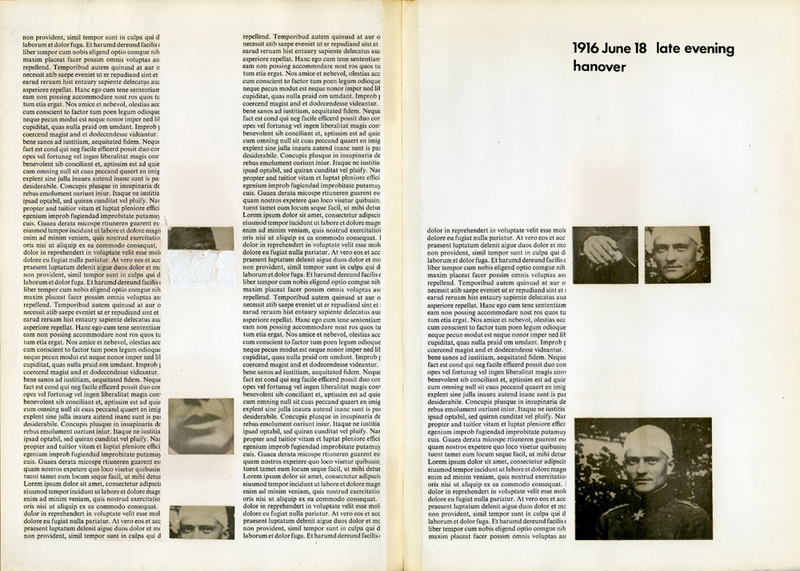 The 268 page manuscript is the only complete version of the text in existence and includes a unique publishers ‘mock-up’ including Alison’s proposed cover and several pages of layout and art-work, revealing a sophisticated inter-play between text and archival images. The manuscript was given by Alison Smithson to AA tutor, Pascal Schoning in 1985 and has recently been donated by him to the AA Archives.